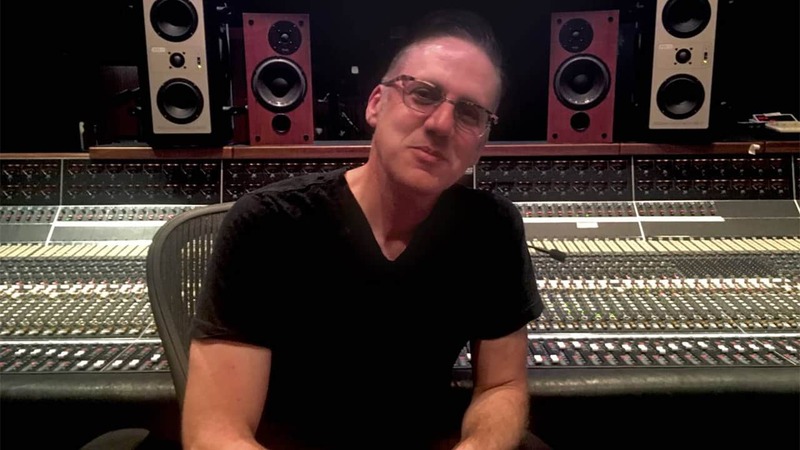 Top keyboard man for Taylor Swift, Keith Urban, and Executive Music Producer of TV’s Nashville talks arrangement, production and the challenges of studio politics. He’s a man of many hats – Executive Music Producer for TV’s Nashville; in-demand session musician for Taylor Swift, Keith Urban, Kaleo, Foy Vance and many Grammy-winning recordings; composer for commercials by BMW, Coca Cola and NASCAR; Emmy- and CMA-nominated keyboardist, songwriter and producer. Tim Lauer talked to us about how he became one of the busiest men in Nashville, his arrangement and production tricks, the intricacies of studio politics, why producers rely on him for “mix insurance” – and much more. You’ve played on over 300 albums including sessions for Robert Plant, Taylor Swift, The Civil Wars, Blake Shelton, Shawn Mendes, Megadeth, the late Chris Cornell. How did you get started? The most important thing was that I moved to Nashville. I had gone to Belmont College to study string arranging, and older friends of mine started recommending me. So I would get the rejected, less-than-fantastic work from some of these guys, and I just took on everything – no matter what it paid or how cool it was. Right out of college, I toured for ten years. Then I got a writing-publishing deal as a songwriter, which I never anticipated doing, and started getting session work. That led to producing and work in advertising and now television. Well, I’ve always loved the variety – doing Americana and folk music on the accordion, country radio stuff on piano or organ, pop stuff on a synth. In high school, my goal was to be a session drummer. I also occasionally play guitars and bass on stuff I produce. And I almost always write on guitar. But one thing that really helped me get work in the beginning was that I was sort of an acoustic, organic backlash to the “pop-keyboard/synth-guy” culture, which is ironic because I had all the gear and was really into it. So some people looked at me as the young guy who could get all the modern sounds. But then I had a whole other group of people who looked at me as the guy who played pump organs and accordions, vintage air organs and glockenspiel, melodica and Wurlitzer. I had very quickly amassed trunks full of cheap, old acoustic instruments. Sometimes just being the only one who owned a harmonium would get me on records. Is there one instrument where you can say, “That’s my favorite go-to instrument”? 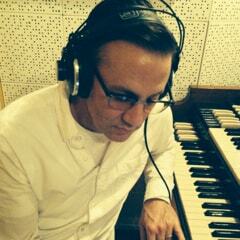 I probably get more joy out of playing the Hammond B3 organ than anything else. You play the B3 on Taylor Swift’s albums? Right, on Fearless and Speak Now. Do you overdub in these kinds of sessions, or is it recorded live with the band? No. One example would be The Civil War’s “Poison & Wine.” What you might not realize hearing it is that there are four or five keyboard parts in there. Some of it is very, very specific, like finding a subharmonic sine wave and doubling the low notes of the acoustic guitar. We spent a lot of time on this. There’s a DX7 French horn part in there, maybe a celeste as well, and a glockenspiel sample where I took all the attack off. So you have the harmonics – that might be what the listener is hearing – which, together with piano, played by [The Civil Wars’] Joy Williams, create those upper harmonic “ringy,” bell-like things. Did you record all of that at a normal volume and then was it pushed way down in the mix? Another example is your playing on Keith Urban’s Love, Pain & the Whole Crazy Thing. Sounds like it’s a B3 there that really helps drive the track. It almost feels like revving up a racecar. True, you hear piano and a B3, but there’s also a lot of synth. I’ve always really enjoyed playing keyboards on guitar-oriented music, without making a guitar band become keyboard-oriented. So I’ve tried to find ways to fit in guitars and add keyboards without people knowing. On the Keith Urban record, a lot of stuff that you think is guitar, or you think is swimmy guitar, is actually processed keyboards. I’ve got a rack that has a patch bay and a drawer that pulls out with a bunch of guitar pedals and a real spring reverb, lo-fi EQ and compression and a tube preamp that I can overdrive. So I can take a very clean and beautiful sound – I call it “music store sound” – and I’ll send one side to a SansAmp, one side to a POD and two different delays. I have a mixer where I can also multi-out the single and mix the clean and the dirty, each on their own channel. I’ll put some delay on it and really heavily compress the delay, EQ it, or send it to a chorus or phaser. I do all this now with stomp boxes from the Waves GTR3. The order of the chain is important. What if I want to distort the reverb but I don’t want the source being distorted? In the old days I had a patch bay and a mixer that behaved more like a console in a portable rack. But of course I couldn’t save it, I’d have to re-patch every time. With the GTR ToolRack I can set up templates on my laptop – very efficient when I want to quickly pull up something for a session. I think I would have a panic attack if I didn’t have the GTR3. Some producers send me tracks to overdub on right before mix. I call it “mix insurance.” I try to provide something wider left to right, something deeper harmonically, something higher than anything already there, something for glue and something for motion. 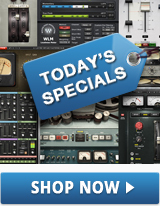 These are things the mix engineer can feather in to help the mix work. So I might take the bass track and put Renaissance Bass and some chorus effect on it for one section, or maybe just on one lick or one line, or on the downbeat of a section to make it “speak.” But then I’ll also think, how can I make this wider? I’ll take the S1 Stereo Imager plugin on a pad or “chorus announcer” and absolutely peg it – I mean like totally wide. I’ll take a sound that’s wide already, like a ping pong delay, smack it wide and then maybe super-high. In the GTR3 Lay D I’ll go to the pitch thing. I go all the way to the right, which makes it go up two octaves. So I get a two octave-up, shimmery delay. I also use the GTR Overdrive stomp pedal a ton. I use it almost like a built-in compressor filter because it immediately filters off all the sheen, giving it a feeling of something hitting hard. So I will often do that on keyboards to make them sit well with guitars. Do you find that there is a different attitude and workflow today? Because of technology, is there less pressure to get it right when you’re recording? Do you find that younger musicians base their workflow on the thought that things can be fixed later, so you might need to say, “Hey, there are certain things that we should do now so you have the core of the song first, the feel and the vibe”? It’s interesting. We had this conversation yesterday in the studio. And I think that, yes, there is less pressure to get it right and there are more options. But that doesn’t always bother me. I don’t think computers have to take the heart and soul out of music at all. Sure, you can make everything perfect on the grid if that’s the effect you’re after. But what is most important to me is a feeling of joy and momentum in the studio. And I know what’s possible to do later on. So it’s not about not caring. It’s about always creating an environment where the people who are making the music are excited about it, are happy about it and we do not feel it’s about “Let’s get it done because we don’t have any budget.” It’s more like: What’s the momentum? Do we feel like we’re slogging through mud here, or do we feel like we’re really making progress? So I think some of the artists who made music in the 70s and 80s that I work with, maybe haven’t allowed themselves to just understand that there are things that can be done later. On the other hand, the younger ones might say, “Don’t worry, we’ll sort it out later.” I’m thinking, well this really matters to me. What are you gonna do with the drums? Are the drums going to be this ambient? Are they going to be grid-tight? Are you going to Beat Detective them? Because that will affect what I play. Should I play to the drummer’s feel or to the click to make editing easier later? There are times when it’s just nice to feel like you’re hearing something pretty close to the record [right away] and to allow people to make a statement and interact with each other. But, having said that, I’m not the old guy who’s down on the new generation of music makers. A lot of the music that’s being made in spare bedrooms, apartments and out of basements is really exciting and way way better than the “session player, expensive studio” records. Even if it’s all done in the box, it still moves me and it’s still very exciting. I’m not one to say that music is better if you have a band in a studio with analog tape running; that can be amazing, but it can also be horrible! When you produce, since you’re such an accomplished musician and instrumentalist, do you find sometimes that you struggle to not let your own personal taste take over when the artists want something not to your liking? Do you sometimes have the urge to just grab an instrument and put down the tracks yourself? It depends. For example, on Nashville we do a lot of songs – probably more than seventy just this season. A lot of times I’ll play, but sometimes I enjoy hiring somebody else. If I know I can play the part I’m hearing, then I might just let them play, thank them, pay them and then replace it. What do you do if you’re working with a band that has a keyboard player who is not delivering your vision? I think you can choose to appreciate that there’s another perspective. I might even say, “This is the kind of thing I’m hearing” and then demonstrate. Look, whenever I hire another session keyboardist I have a good idea of how that person plays. They are there because I want them to play something I wouldn’t or couldn’t. I’ve also played on many band records that had keyboard players and the band’s keyboardist was actually present. That’s an interesting situation because then you’ve been hired by a producer to play the instrument that the band member already plays! So I choose to just sort of put that out there: “Hey man, I don’t know if this is awkward for you. Please let me know if there’s anything that you absolutely hate, if there’s anything you want to show me.” If it were me, I certainly would feel awkward. Sometimes a keyboard player will say, “Here’s my part.” And if I can see that they can really execute it well, then I might say to the producer, “Hey, why don’t you have them play it?” And I’ll just kind of vouch for them like, “They can do this!” Then sometimes I’ll just say, “Hey, let me learn your part.” Because sometimes the execution is not up to par. The part may be good, but just to really pocket it might be a challenge. I will also probably be playing parts that are “production” parts and not necessary to cover live. Often those kind of parts just aren’t “fun” or don’t really compute with a band guy because it’s so subtle, or tedious, or specific, or super-simple. Right. I participate in the songwriting, but then there’s my other job as executive music producer. I’m involved in the song selection for the series and then I produce the studio recordings as well. But I always want the best song to win. So I’ve pitched songs of mine without telling anyone that I wrote them. I’ve also voted against my own songs! How is songwriting for the show different from just writing a song for an album? Especially something like the Gunnar & Scarlett song “All Of Me”? Well, something like that is written specifically with a very clear brief for a certain situation, a certain scene. I get scripts before they shoot and I know what they’re looking for. With that specific song, before the season started, we had a writing camp out in L.A., with a bunch of songwriters that the publishing company called Razor & Tie brought to the home of our music supervisor, Frankie Pine. The showrunners, Ed Zwick and Marshall Herskovitz, were there and they just talked to everyone about the kind of feeling they wanted to get from these songs. Then we all broke off into little songwriting groups and we wrote one song in the morning and one song in the afternoon. Then we had dinner and sat by the pool where everyone played their songs for each other. “All of Me” came from that day. I wrote it with Phillip Larue and Lindy Robbins and it ended up in four or five episodes. There are two versions for every song – one that’s in the show, which might just be a scene with a guitar. It might be a club gig but then it also goes to iTunes as a soundtrack. So after I get the cast in there to sing the vocals, we’ll have a full song. Then I’ve got to edit it down to however long the use is in the show. So you might see (on the show) 45 seconds with a guitar and then on the day the episode airs, it comes out in iTunes as a fully produced, full-length song. Once the songs are written – is producing and mixing them for the show also different from what you’d do for an album? Sure. When we record the music for Nashville, we record the vocals with no compression, because we need to be able to create whatever dynamic range works best when you watch a show [as opposed to listening to an album]. The dynamic range is different. You can really embrace compression on a record, but when you see it on the screen, something in your brain says, “That doesn’t seem right.” So I need to make the music work for a completely natural, intimate environment, or a live show situation, and then also for the soundtrack. One way, we’re supposed to believe it’s coming out of a speaker, one way we’re supposed to believe it has no speaker and it’s coming in the room, and the other one is it’s coming off a record. And a lot of times, it’s the same recorded audio. So, I use the Waves MV2 compressor on vocals all the time because there’s so much low level that you can get it up without it sounding compressed. I like how it brings things up. Sometimes I won’t even use the compressing part; I’ll just use the upward. So instead of controlling the loud stuff, it pulls up the soft stuff. You’re absolutely right, and we’ve always talked about this being our alternate dream world universe. We’re not trying to mirror. This is a conversation that’s been had many times. We are fully aware that the music on the show does not reflect country radio. We also understand that on our show, there aren’t a lot of people living in the country, driving their trucks to the lake, and drinking beer. That just doesn’t happen in the show. Our show happens in the city. I like the music on our show to be transcendent, like hovering above reality and more magical. We don’t need to have people, places and things in the songs because all of that is on the screen. Has it affected people’s music purchasing behavior? No, I think it offers them an alternative. If you like the way that country radio sounds, turn it on, listen to it, buy that music, enjoy! You know, it’s fine. There are people who enjoy the music on the show, but don’t enjoy the music on the radio. So I think you can love modern country music, you might look at the music from the show as sort of expanding that option. If you don’t like it, you can look at it as an alternative, because the interesting thing about the songs on the show is that most of them would never get played on any radio station. They’re free of genre. Apart from GTR3 and the plugins you’ve already mentioned, what are some other plugins that you use regularly? I’ve been using the J37 Tape, just very subtly as sort of a compressor (not super-dramatic), sometimes on the two-mix and sometimes on individual channels. When I want that certain sound, I’m always amazed at how the artist presets on the SSL plugins work. I feel silly but if I want that sound, I can almost just put it on the drums: kick, snare, overhead, toms, bass… And I feel like I’m cheating but so many times I go, “Well, if you want the sound, there it is!” Sometimes I’ll just do that because I feel like I see a mix guy’s name and I have a sense of their aesthetic. I’ll check out Dave Pensado’s presets, or Tony Maserati’s or Michael Brauer’s, just to see what’s the starting point from them. I use the L3 Multimaximizer a lot. There are a lot of L-leveler type tools, but I like that you can get multiband limiting without changing the overall level output. I just pull down that middle link box until it taps down the frequencies that jump out. And I use the Kramer Master Tape. The other day I had on a master with some slapback – just a tiny bit – and it was perfect. I used the flux knob as a good lo-fi. If there’s a tambourine or a hi-hat or an acoustic guitar that just feels too digital, I’ll put up the factory default and I’ll pull that flux knob to the right – just before it starts to feel wrong. And “wrong” might be just right!